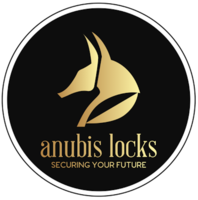 Anubis Locks is a Caerphilly and Cardiff based locksmiths & Security Systems company that support the local area, Cardiff and operating along the M4 corridor and surrounding areas. We take your security seriously. As an accredited member of the National Network of Approved Locksmiths (NNAL), we can be relied upon to conduct work responsibly, professionally and will not leave until you are happy with the work that we have undertaken on your behalf. All locks that are fitted to your property, either residential or commercial premises, are British Standard and recognised by insurance companies around the UK. Whether you require a lock change, repair, upgrade or security check, you can be comforted in the knowledge that all work will be undertaken in a professional manner with complete customer satisfaction. When needing peace of mind during your time of crisis, you can be assured that we will deliver a quality service. anubis locks also installs door entry systems. Anubis Locks, great workmanship, prompt and efficient - highly recommend!! Called to help with broken lock in patio door - came next day. prompt, polite, professional. job particularly tricky - returned next day and finished work without issue. Already recommended to in-laws! Our UPVC front door lock was showing signs of wear. We got three estimates, of which Anubis (the only Which Trusted Trader we tried) was the most reasonable. Philip came (a bit later than originally agreed as he had to finish another job) and looked at the lock. He spent a lot of time in trying to source a replacement part that he thought was needed and to minimise the cost to us. He then realised that two smaller parts were broken and was able to replace them on the spot. We now have a working door. We were impressed that he worked to minimise the cost of the repair. He charged what he said he would. Philip was friendly and professional. He arrived at the agreed time. He was quickly able to identify the problem & replaced the lock for a good price. I would recommend Anubis Locks. Mr. Harvey came to fix a minor problem with an outside door lock. He arrived punctually, was extremely courteous and knowledgeable. Managed to deal with problem speedily and efficiently. Would certainly use him again for any lock problem. The job was done quickly, they were very clean and tidy - we've had no problem with the doors since! I would like to highly recommend Philip personally and professionally to anyone who is looking to hire him for any of his services mentioned. In particular to my case Philip was recommended to me by another very happy customer and he didn't let me down. I am a landlord of a property in South Wales that needed urgent attention to replace the front door lock and to provide the tenants, agency and myself with a new set of keys. Philip was extremely prompt in his arrival, enthusiastic and professional with both the tenants and the letting agency. He charged me exactly what he said it would cost and was even prepared to go above the norm and send me a set of keys abroad. I therefore have absolutely no hesitation whatsoever in highly recommending Philip Harvey at Anubis Locks. Mr Harvey delivered a friendly professional service and explained what he was doing and why throughout the process. Would definitely use again and recommend to others. Mr Harvey was called out to investigate a problem lock. He found only a minor problem that could be overcome by a revised manner of operating the handle. He made no charge for his visit even though he traveled over 30 miles. He is a very professional, congenial and honest locksmith.